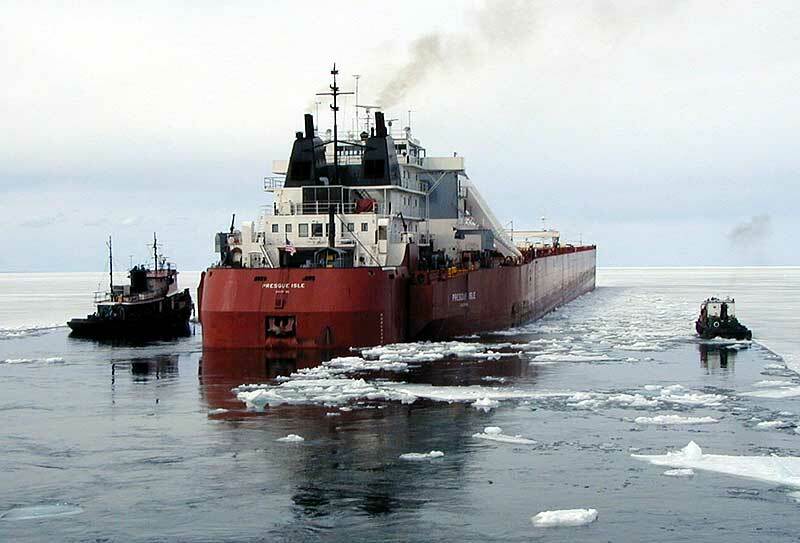 Entering Erie, PA harbor, June 2005. 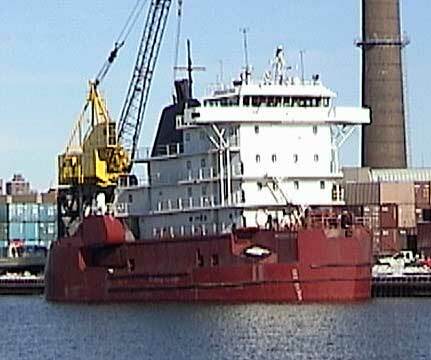 By the Marine Historical Society of Detroit, from Ahoy & Farewell II. 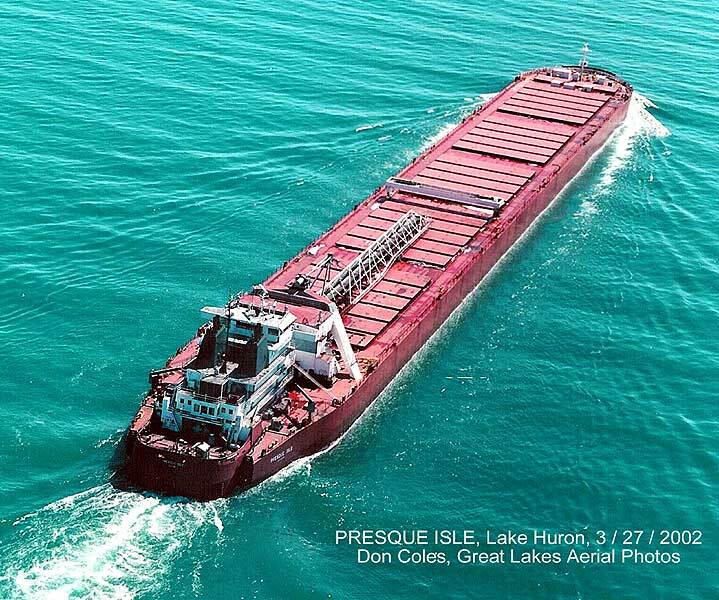 Presque Isle (2), US.553416/US.553417, Twin Screw Self-Unloading Tug/Barge Lake Bulk Carrier built in concert by three shipyards for the Crocker National Bank, Trustee, of Los Angeles, CA., managed by Erie Marine, Inc., of Litton Great Lakes Corp., Erie, PA. 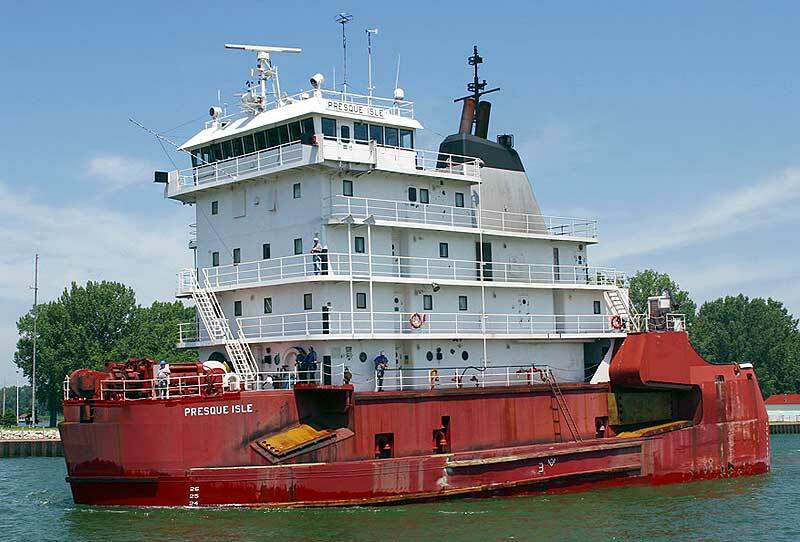 The push tug a) Presque Isle (2), US.553416, was launched December 12, 1972 as Hull #322 by the Halter Marine Services, Inc., New Orleans, LA. 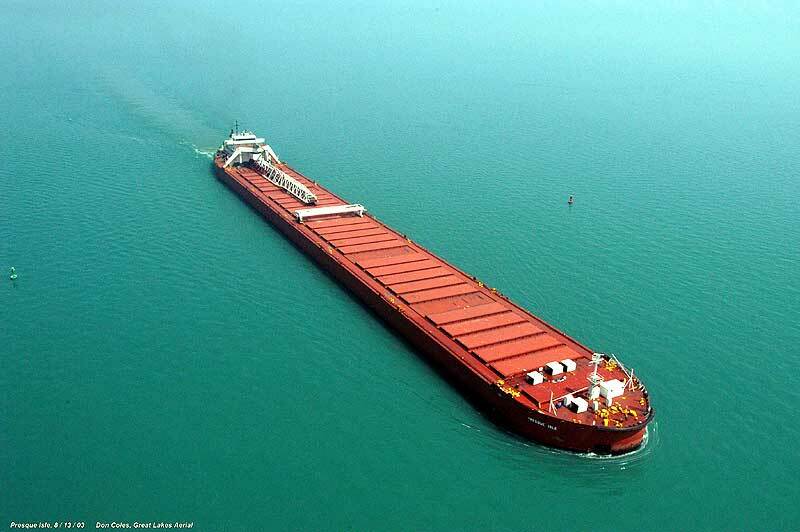 144'4"x 54'x 31'4"; 1578 GRT, 1073 NRT. 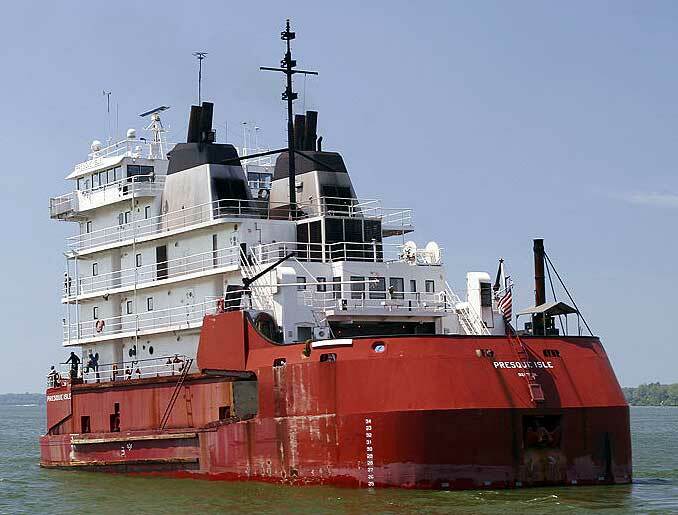 The tug completed her sea trials on October 22, 1973 and then departed New Orleans on October 29th. 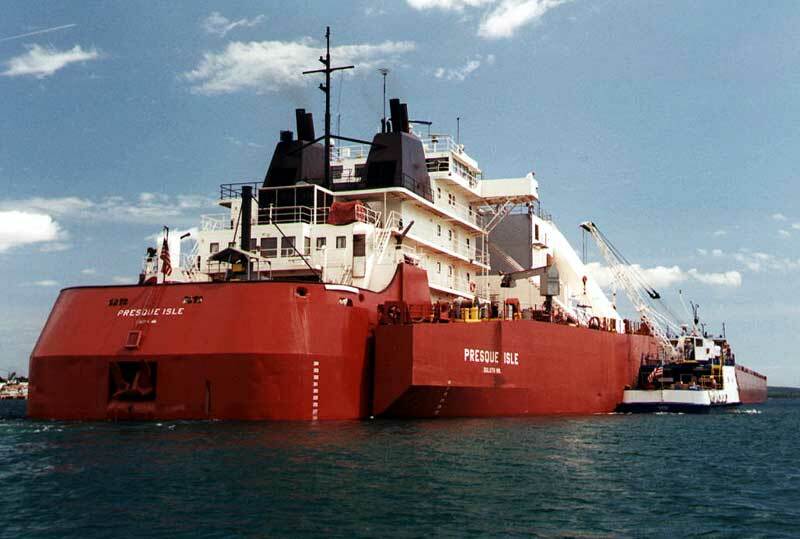 The barge, also named a) Presque Isle (2), US.553417, was built in two sections by different shipyards. 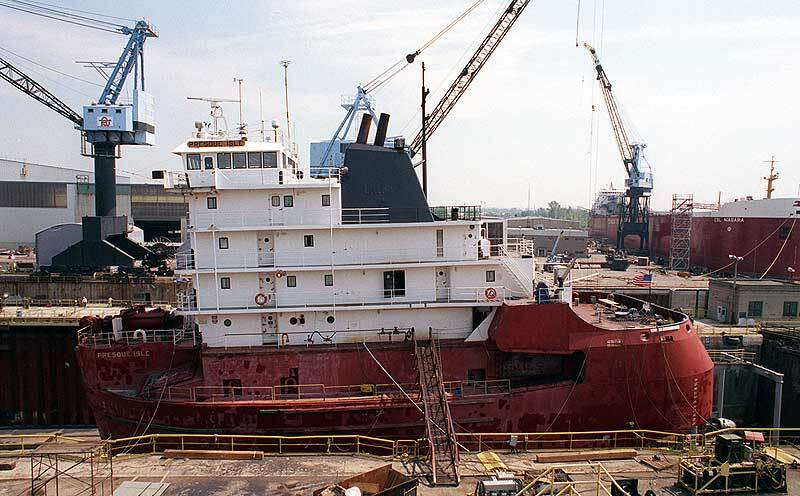 The bow section (68'x 104'7"x 46'6"; 185 GRT) was launched July 27,1972 by Defoe Shipbuilding at Bay City, MI as Hull #447 which was towed to Erie by the tugs Maryland and Laurence C. Turner arriving October 6, 1972. 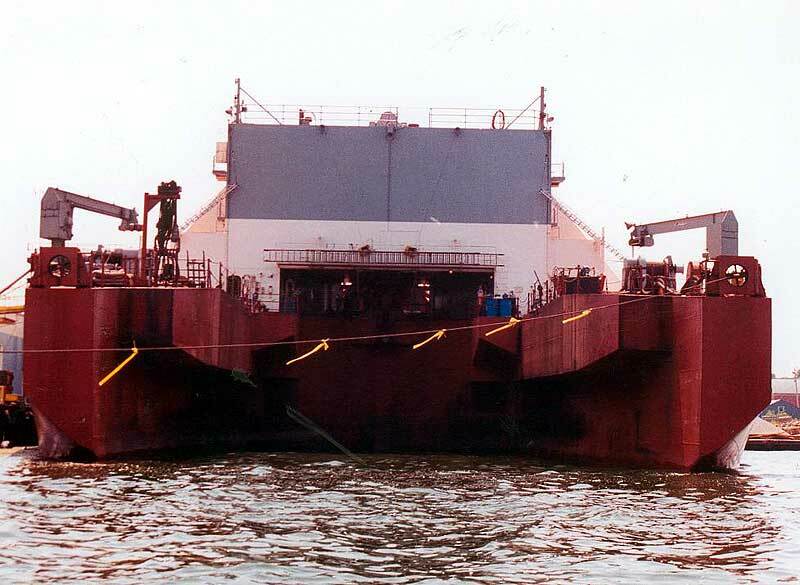 There it was combined with the cargo section of the barge which had a notched stern. 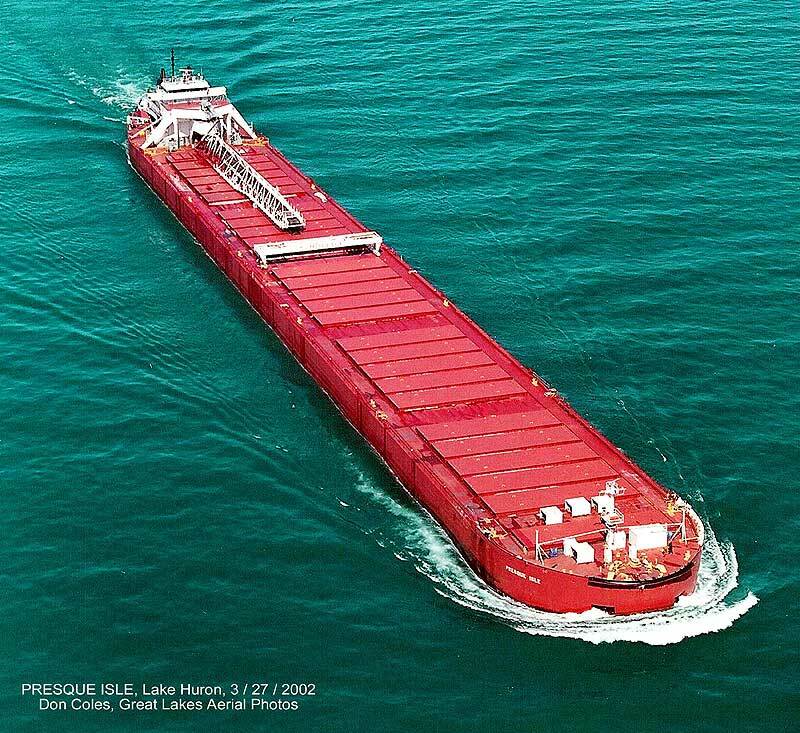 The cargo mid-body was built by Erie Marine, Inc. as Hull #102. 974'6" x 104'7"x 46'6"; 22,621 GRT, 22,259 NRT. 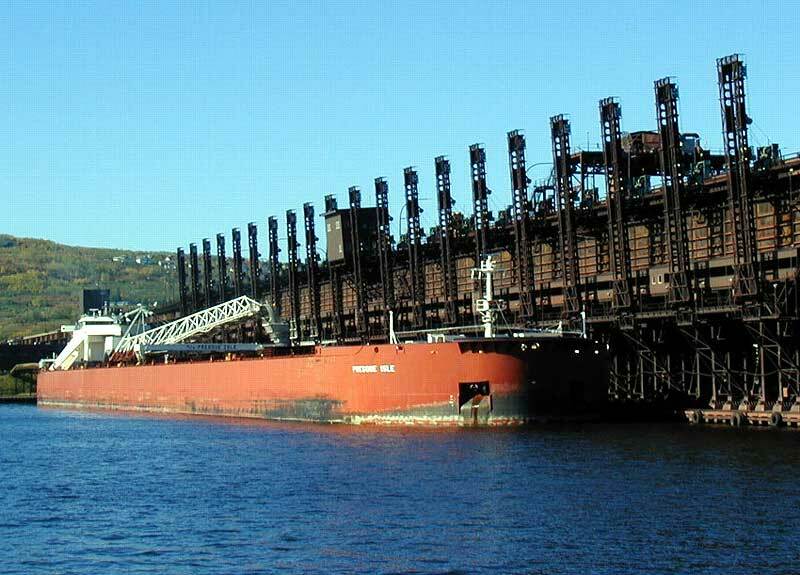 The combined tug/barge dimensions are 1,000'loa, 988'6"lbp x 104'7"x 46'6"; 24,199 GRT, 23,332 NRT, 57,500 dwt. 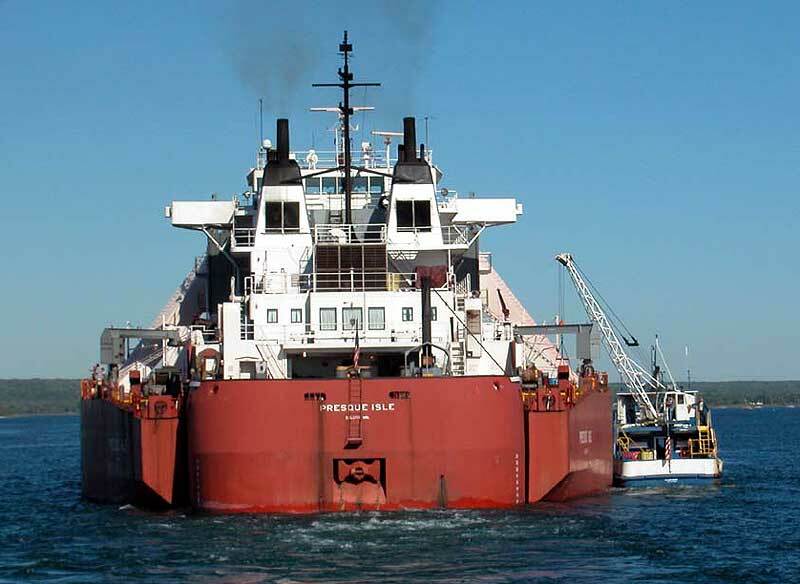 The tug is powered by two four stroke cycle, single acting V-16 cylinder diesel engines, 381mm (15") bore x 457mm (18") stroke, built in 1972 by Mirrlees Blackstone Ltd., Stamford, CT driving through a Lufkin single reduction gear box to two controllable pitch propellers. The total power output is 14,840 bhp. 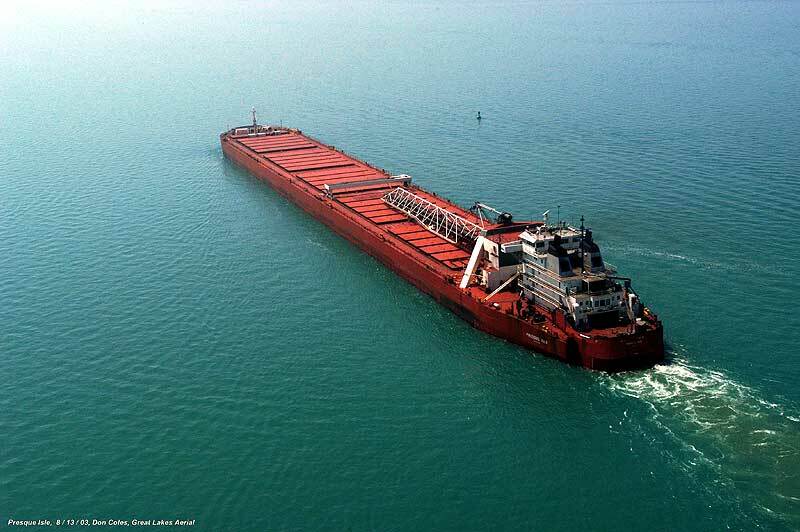 and the rated service speed is 14 knots (16.1 mph). 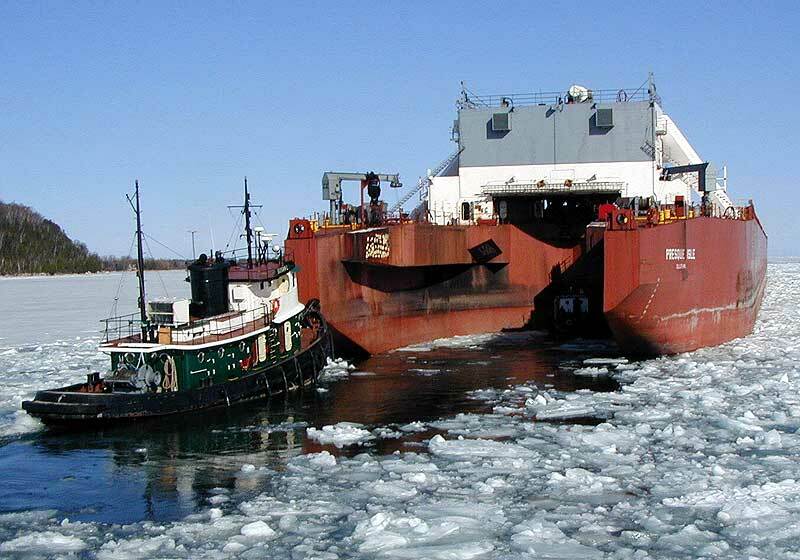 The tug was upbound in the Welland Canal on November 16, 1973 en route to Erie to join with the barge. 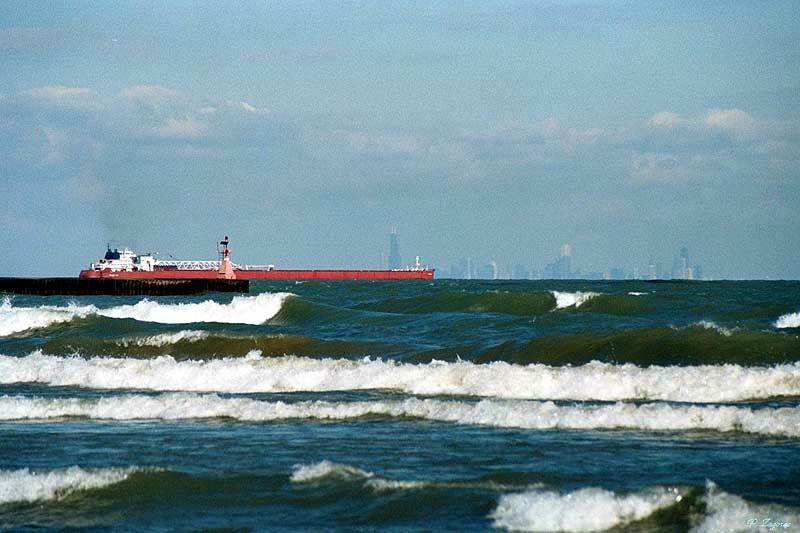 The tug/barge departed light from Erie December 16,1973 on its maiden voyage bound for Two Harbors, MN. 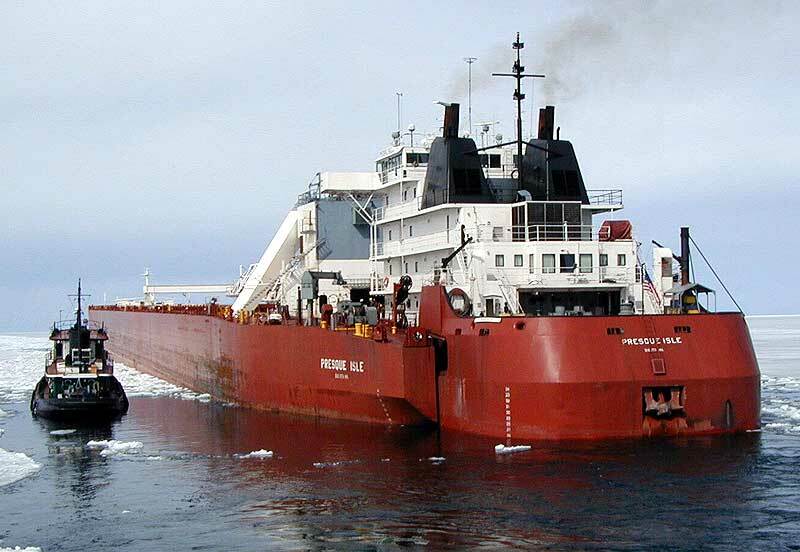 (This was the latest maiden voyage date at that time.) 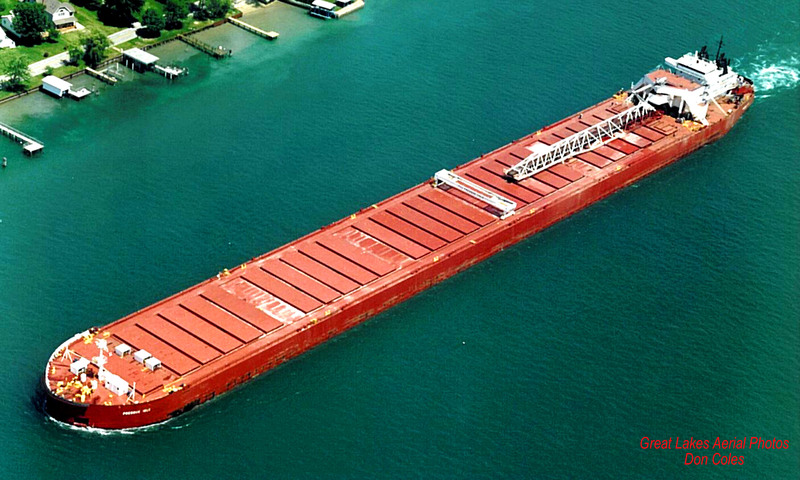 There the Presque Isle loaded 51,038 long tons of taconite pellets for delivery to Gary, IN. 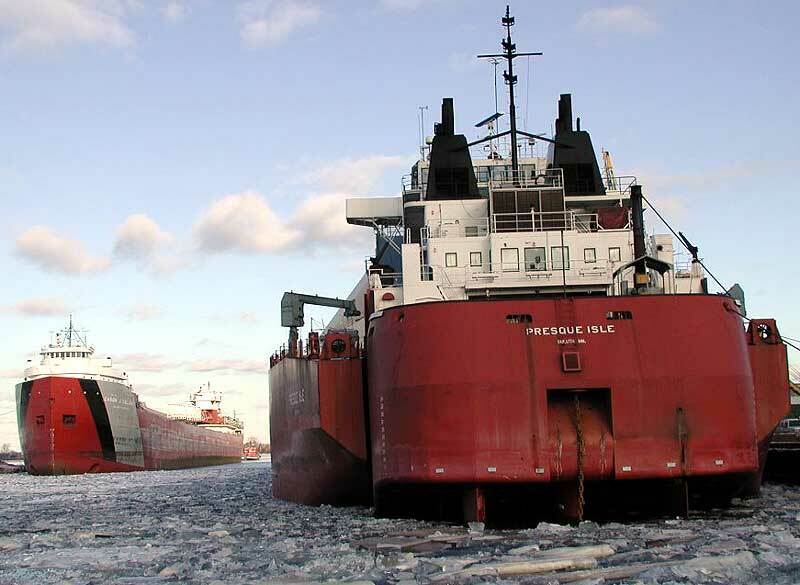 After this ice covered trip, the vessel returned to Erie for winter lay-up. 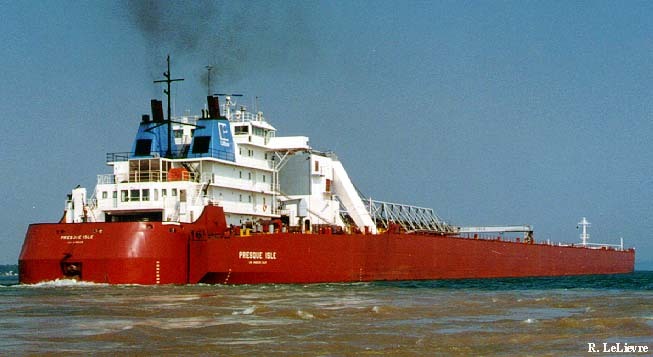 The Presque Isle was the second thousand foot vessel on the Great Lakes (the Erie-built Stewart J. Cort which came out in 1972 was the first) and was the last large vessel built at the Erie shipyard. 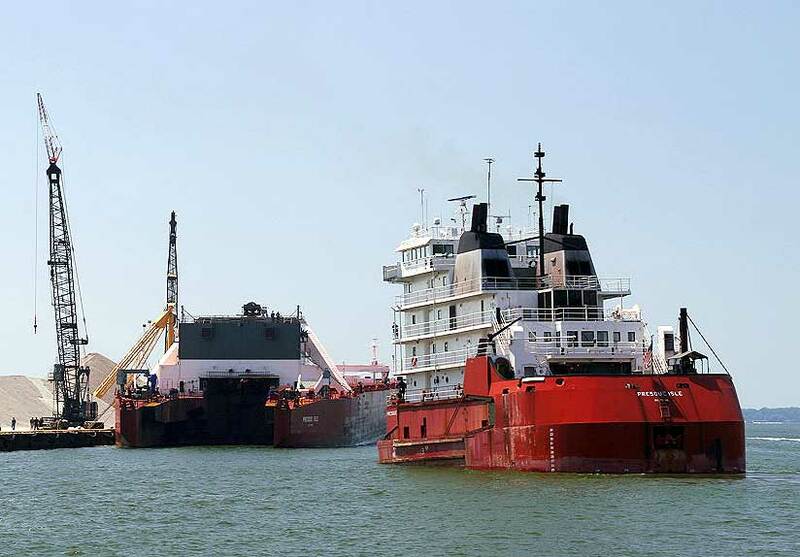 The total cost to construct the tug/barge thousand footer was approximately $35 million, the loan for which was guaranteed under Title XI of the Merchant Marine Act of 1970. 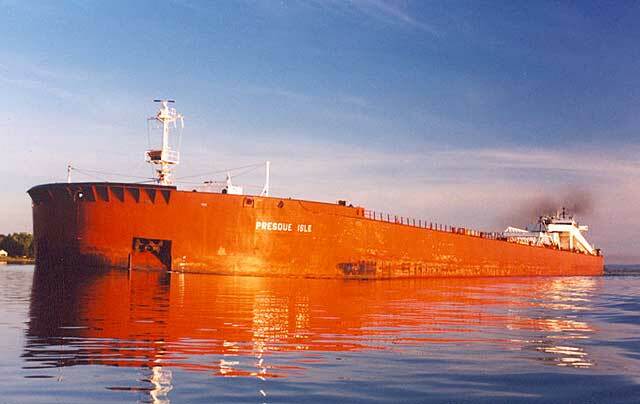 In July, 1986 the Presque Isle loaded a record cargo of 46,000 tons of coal at Toledo, OH for Marquette, MI. 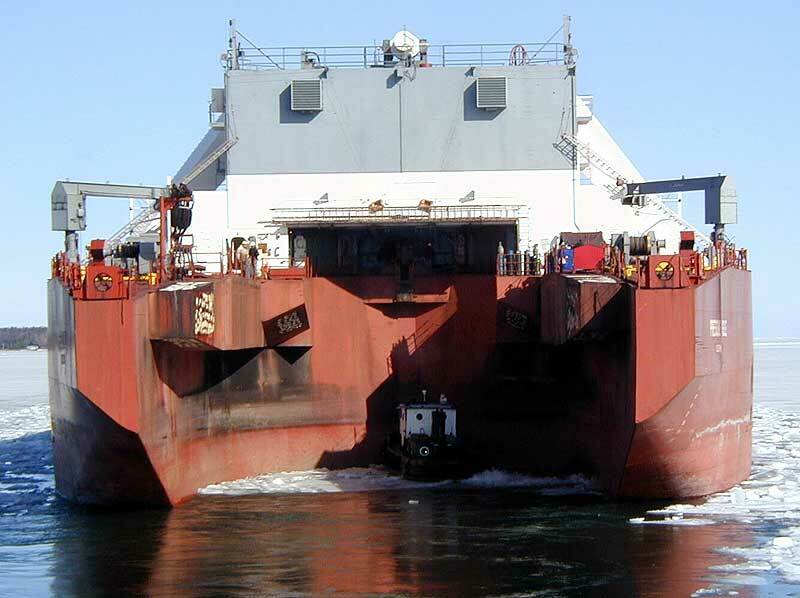 Barge waiting for tug to join after dry docking. Orrin Royce. 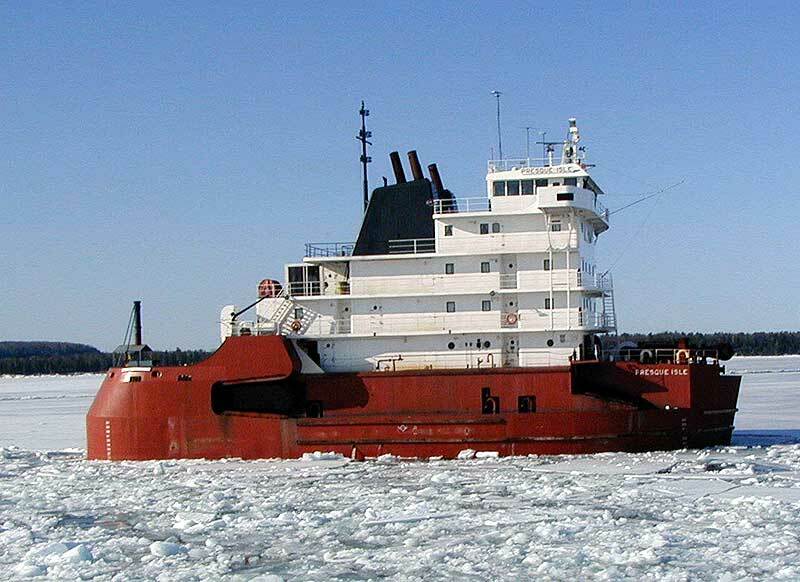 Tug Bayship clearing ice from the notch. Close up of notch. Jeff Thoreson. 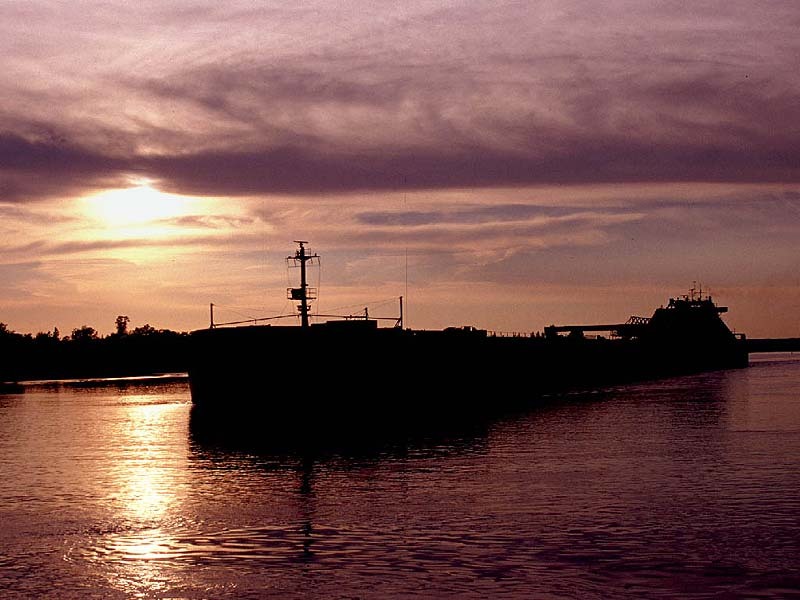 Docking at Erie, PA, June 2005. 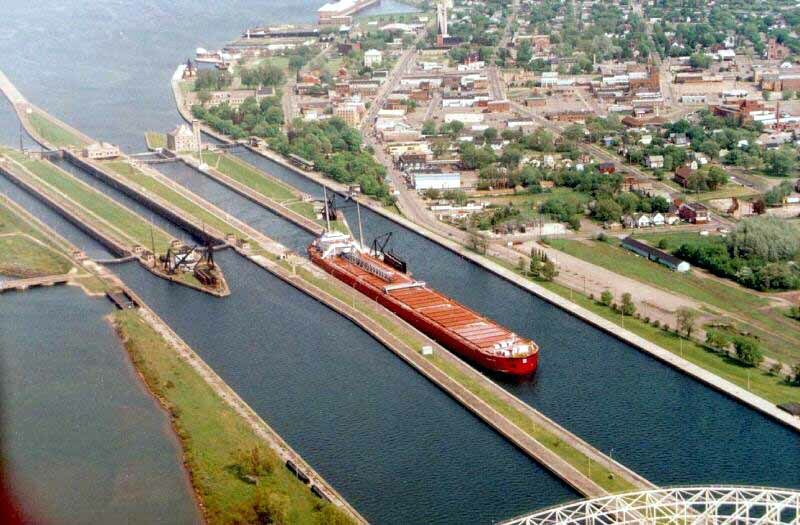 Supply ship Ojibway along side below the Soo Locks.